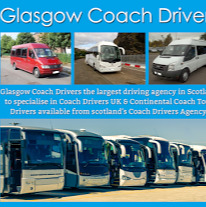 Glasgow Coach Drivers is a specialist driver recruitment company supplying fully qualified, high calibre and thoroughly vetted coach, bus, lorry, truck, van and car drivers. The company was born out of a desire to improve the freelance driver industry and match good quality reliable drivers with bus, coach and tour operators, truck and lorry companies and other businesses needing driving services. Set up and run by drivers with many years of experience in the industry, we’re confident we know exactly what operators want and need. The important thing is that all our drivers are fully qualified and experienced for the role they are supplied for, as well as always being smart, polite and customer friendly.